We stayed in Apia for a week. The anchorage is much more pleasant than Pago Pago; good shelter, good holding and no canning factory smell. We toured the island by car to see some more traditional villages. 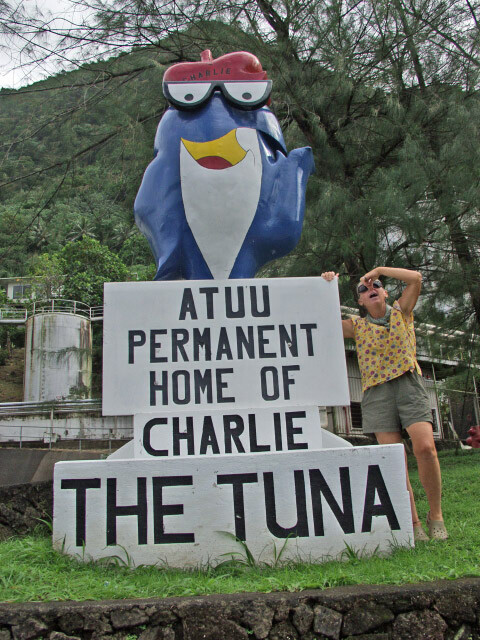 The Samoan people are very hospitable and friendly, both here and in American Samoa. We snorkeled in Palolo Deep Marine Reserve, close by Apia, and made three scuba dives near there too. Visibility was poor - about 30 feet - but we saw loads of unfamiliar fish on every dive. 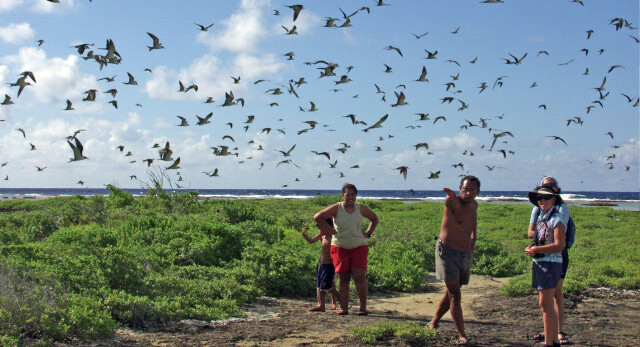 Niuatoputapu is the most northerly of the Tongan islands which run north-south over maybe 500 miles. There is only one populated but undeveloped island here; the three groups to the south contain 170 islands of which 35 are populated. We expect to stay here a week, but it will depend on the weather. The trip here was rough with choppy 6-7' seas on our beam. Hopefully, we can find some better conditions to continue south. 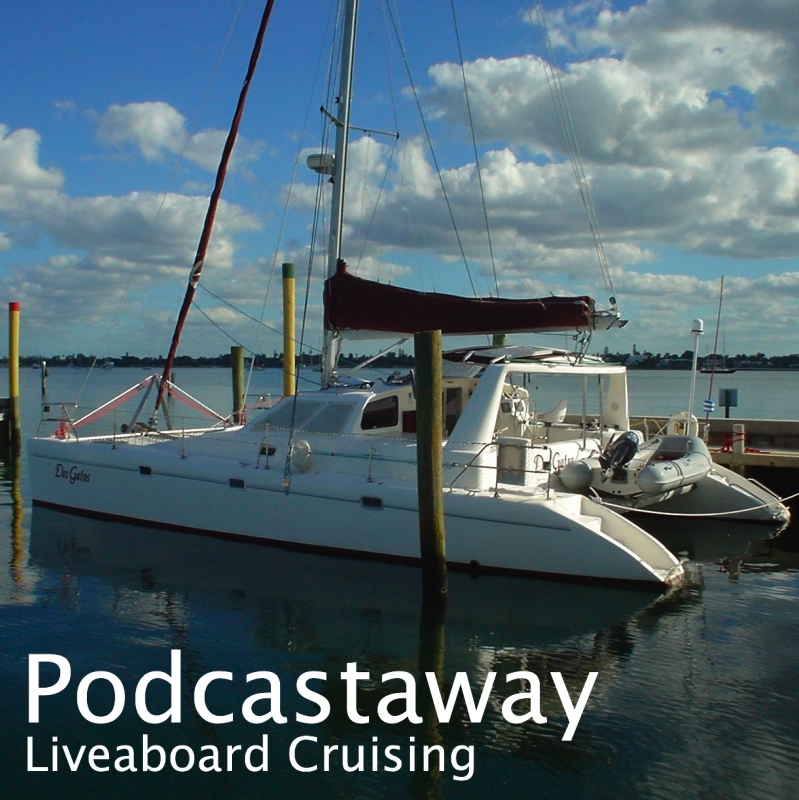 I have posted a new Podcast, recorded on passage from Bora Bora to Samoa, in two parts. I was entirely unable to upload it in American Samoa, so I split it into two smaller files and successfully uploaded it here in Apia, independent Samoa. I shall have to produce shorter Podcasts in future to ensure that I can upload them in reasonable times. Each of these parts took over an hour! We like Apia - a much nicer harbor. We ate at Aggie Grey's Hotel last night where they put on a cultural show. We plan to rent a car to tour the island Saturday, and then move to the other Samoa island of Savai'i next week. We've spent five days in Pago Pago, American Samoa. The anchorage is awful. The bottom of black sludge provides poor holding -- it took us four attempts to anchor. The surrounding mountains funnel the wind and a mile of fetch builds up a chop. There is a tuna cannery upwind of us that provides an unpleasant smell, and the water color has stopped me from running our water maker. Apart from that it's great! We rented a car and spent a couple of days shopping and one touring the island. The towns and villages are clean and the people are all friendly and welcoming. USPS has failed to deliver our Priority Mail after two weeks but we're leaving anyway for Apia -- Independent (Western) Samoa. I'll fly back to pick up the mail rather than stay here. We have just left Suwarrow Atoll (also known as Suvarov) after a pleasant five day stop over. (As usual, we stayed longer than we intended.) Suwarrow is beautiful -- a little like the Tuomotu atolls, but even more unspoiled. It's preserved as a Cook Islands National Park and the only residents are the Park Wardens John and Veronica and their four young sons. We made two dives near the entrance pass and also snorkeled and visited several seabird colonies. They have sooty terns, frigate birds, red-footed boobies, and notably red-tailed tropic birds nesting here. Walking carefully among the bushes we found nests with eggs, fledglings and incubating adults. The Park is open only from June to October and John and Veronica are resident only during that period. Amazingly, they are dropped off there in June with their supplies and picked up again in October. They get no supply boats during their stay - their only visitors are us, the cruising sailors. They we very friendly and helpful, organizing a potluck dinner one evening as well as taking parties to the bird colonies. Now we're under way again headed for American Samoa -- we expect to get in there Wednesday.